I was reading the posts in one of my artist groups and my dear friend, Kristy Velesko, shared a technique I’ve never seen before. In PS there is a tool that allows you to create multiple motion blurs and apply them to the different objects in your image independently… you can control their direction, speed, taper, and shape of motion all using the blur path tool. For example… There are 3 objects on this table. Using this blur path tool you can create the appearance they are all toppling over in different directions. You are no longer stuck with straight line motion. 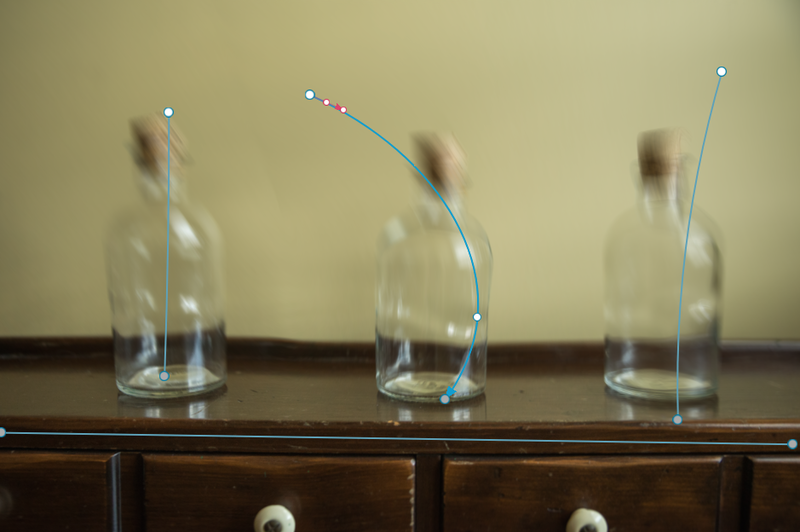 You can have blurs all over the place and you can control the directions of all of them independently. I love this tool! Here is a great video tutorial on how to set this up. Thank you Kristy Velesko Photography for #SharingItForward! Previous Previous post: Create a promotional video for your photography business using free online resources!